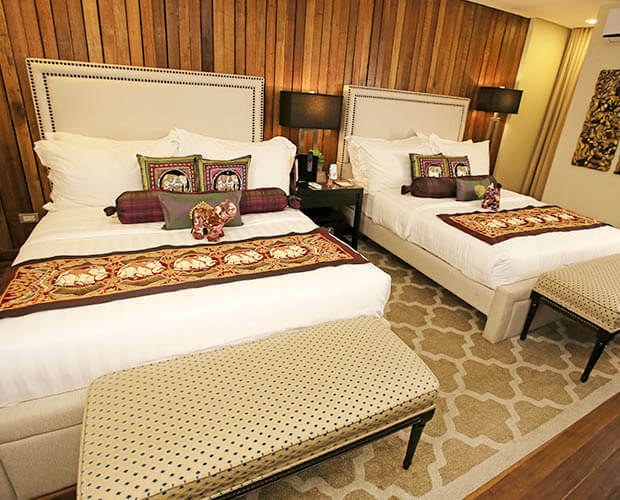 The cultural significance of the hotel extends to every room as each one is named after a city in Thailand. From your room name’s picture and description on your executive desk to the stunning golden hues and intricate patterns, all 7 room types create a luxurious ambience. Your stay is also complemented with a personal butler service to provide you with utmost convenience. 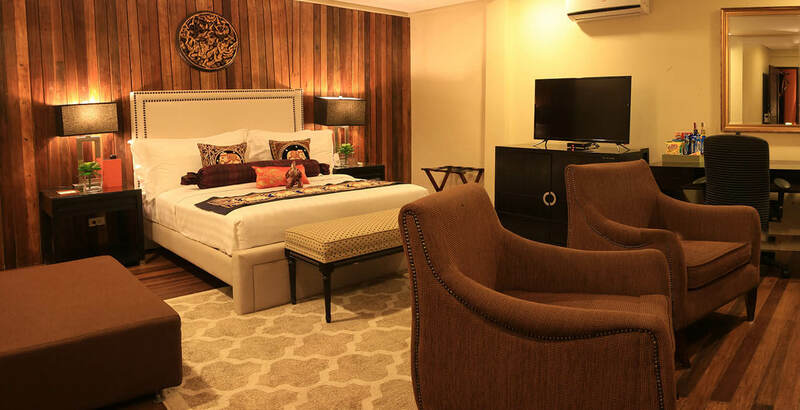 Enjoy your lavish accommodation unlike any other in the area in our hotel in Tagaytay, Philippines. 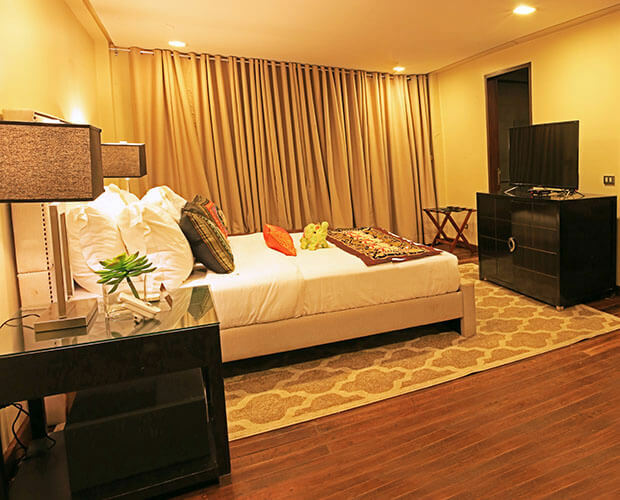 Located at the first level, this room provides easier access to the lobby and the swimming pool. Providing a wider space at 38 sqm, Kanchanaburi has a king size bed and can accommodate a maximum of 2 paying guests and 2 children. Marvel at Tagaytay’s stunning natural views right at your doorstep. Khao Sok is located at the first level and has two queen size beds, welcoming a maximum of 4 paying guests and 2 children. The whole family will love waking up to nature’s beauty right outside the room. Located at the first level, this room welcomes a maximum of 4 paying guests and 2 children. Offering a wider space at 38 sqm, Ayuthaya opens its doors to couples and families. 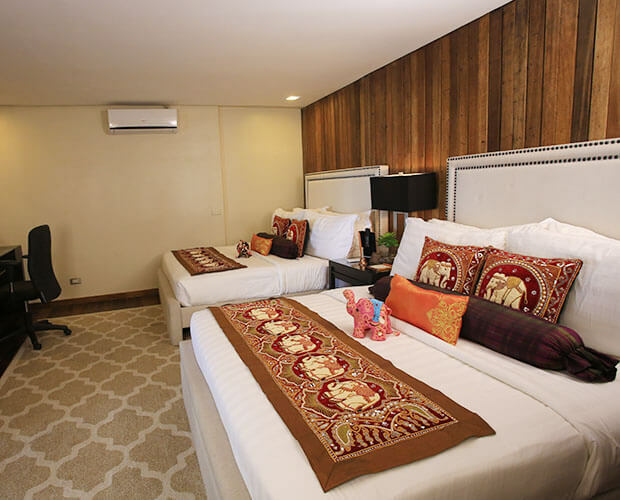 Located at the first level, this room can accommodate a maximum of 2 paying guests and 2 children. 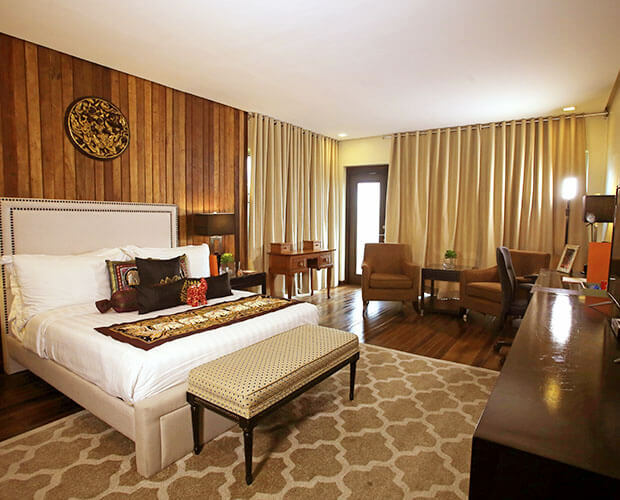 For a more intimate stay with a balcony perfect for unwinding moments, the Chiang Mai has one king size bed and can accommodate a maximum of 2 paying guests and 2 children. 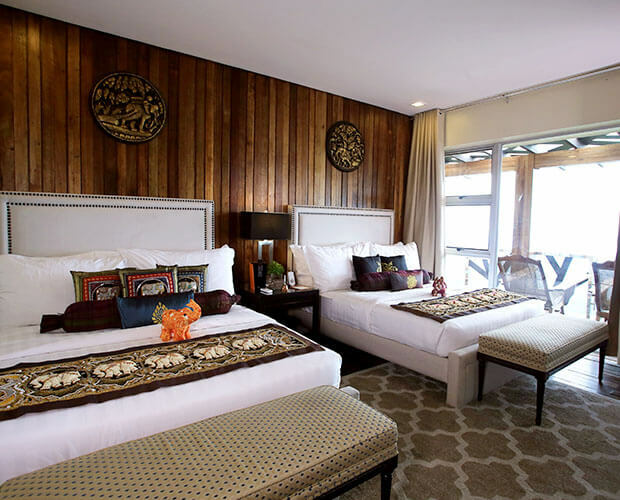 Equipped with two queen beds on a 38 sqm floor area, the Chiang Rai can accommodate a maximum of 2 paying guests and 2 children. During the early hours of the morning or late in the afternoon, enjoy the cool breeze and the stunning scenery from the balcony. 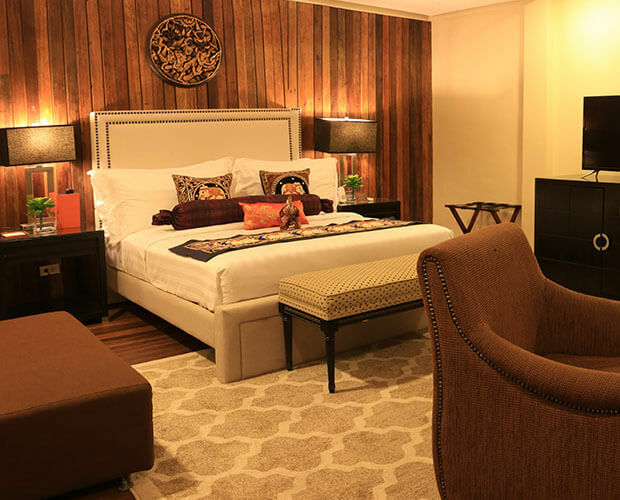 Railay embodies luxury at The Oriental Luxury Suites. 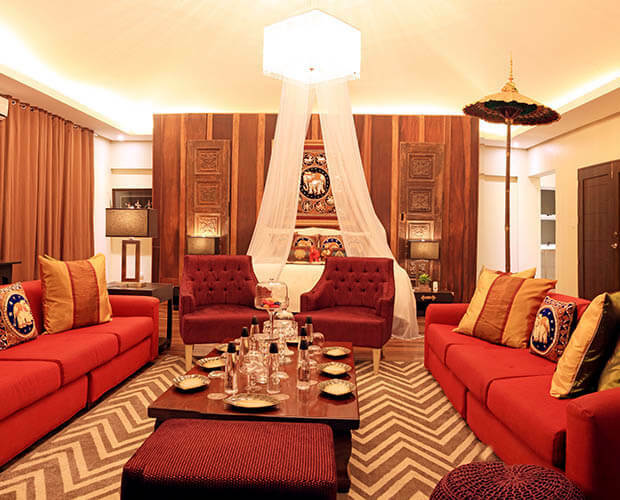 At 80 sqm, this Presidential Suite has a full kitchen and a balcony overlooking the great outdoors. It welcomes a maximum of 2 paying guests and 2 children.